Ryan Cavinder, 12, of Bloomington with the first bat house he ever built. But should bats be on that list of scary things? Ryan Cavinder doesn’t think so. 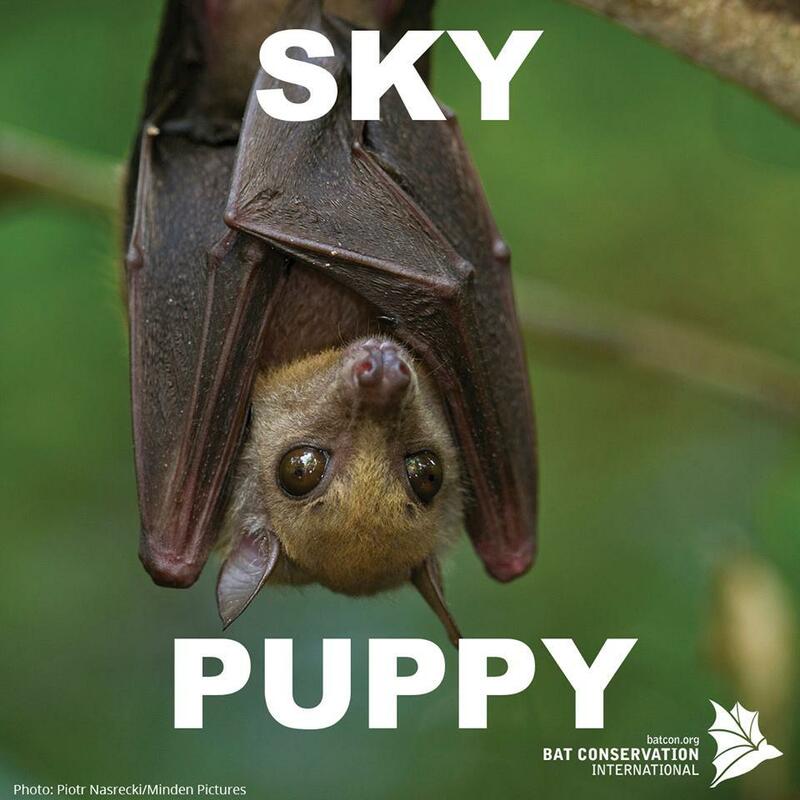 The Bat Conservation International organization has some fun with the public's perception of bats. The 12-year-old from Bloomington loves bats, so much that he wants to save them. He builds and sells bat houses—like a bird house—and gives the proceeds to bat conservation groups like Bat Conservation International. He’s already built 70 bat houses, with a lifetime ahead of him. Ryan first got into bats at age 7, after doing a bat project for a science fair. He likes that they’re the only mammals that can fly. And that they can eat thousands of mosquitos and insects each night. Bats have a bad reputation that they don’t deserve, Ryan says. They’re harmless to people unless they’re being mishandled. “Everywhere we go, if he hears anything negative about a bat, he’s sure to help try to correct that, to save them as much as possible,” said his mother, Heather Cavinder. Added Ryan: "The biggest (myth) is that bats are carriers of rabies and that all bats have rabies. That’s actually not true, because bats are not carriers of rabies. They can contract rabies but after 48 hours they end up dying." 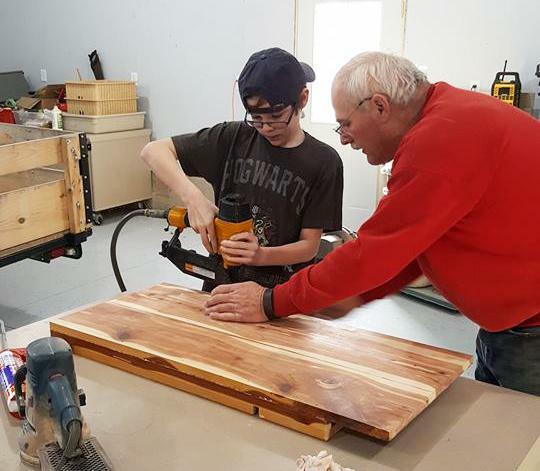 Ryan working with his grandfather on a bat house. He's already built 70 bat houses. Ryan felt compelled to help after hearing about white nose syndrome, a fungal disease that’s killed millions of bats in North America. Several types of bats are affected, including at least two endangered species. “That’s the main reason that the bats are going extinct and are endangered,” Ryan said. Ryan’s wooden bat houses are a couple feet tall, with grooves inside so bats can “hang” out. He says they don’t necessarily attract new bats, but they do give bats already in the area a place to be safe. He recommends against putting your bat house in a tree, because that’ll give hawks and owls—which prey on bats—an unfair hunting advantage. Ryan says the most common species in central Illinois are the big brown bat, little brown bat, gray bat, and the tri-color bat. His mom says Founders’ Grove is especially batty. Ryan's mom says he's already planning a lifetime of work with bats. "He's decided already that he wants to be a bat biologist when he grows up, and tour the world and try to save bats even (more) than what he's doing now," Heather said. Learn more Ryan’s bat houses on his Facebook page. 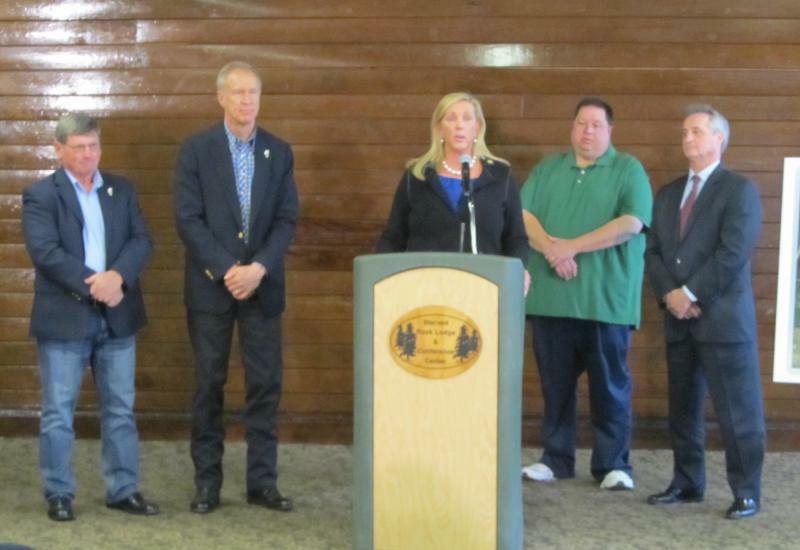 GLT's interview with Ryan and Heather Cavinder. The ParkLands Foundation is hosting an open house event to highlight the delights of Letcher Basin.